The transit zone of Röszke, Hungary. German Chancellor Angela Merkel’s conservative Christian Democratic Union (CDU) and its Bavarian Christian Social Union (CSU) sister party are reportedly reviewing the creation of transit zones – similar to the ones set up by Hungary. For instance, Hungary does not allow asylum seekers to enter the country directly. Instead, officials stop them at two crossing points along a border fence with Serbia. They are then detained in the transit zone, a closed-off container village. 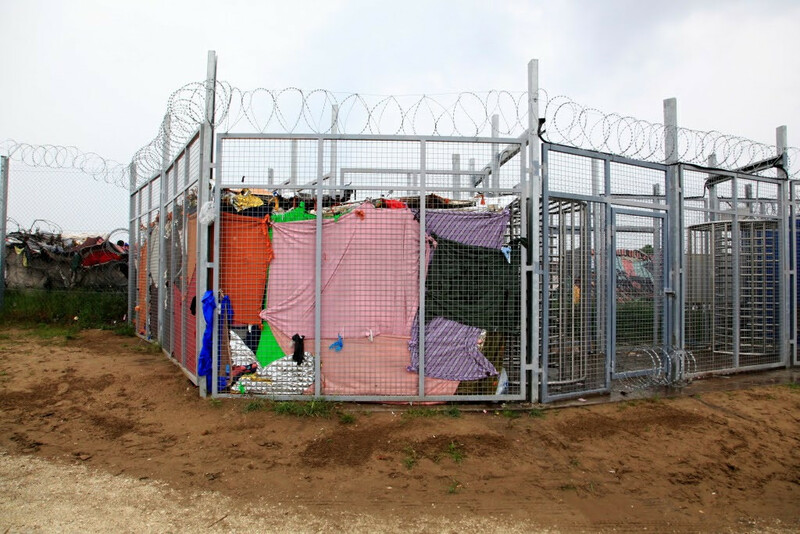 According to the Hungary Helsinki Committee (HHC) aid group, only one person per crossing point is allowed to enter the transit zone each day, a figure denied by a spokesperson for Hungary’s government. “It’s not our fault that so few people want to come to Hungary,” Janos Lazar, the head of the prime minister’s office, said in February. As reported by Deutsche Welle (DW), Germany’s international broadcaster, the HHC estimates that there are roughly 4,000 migrants on the Serbian side of the border, waiting to file for asylum in Hungary. In the transit zone, Hungarian officials check whether the asylum seeker has been registered in another EU country or whether the asylum application is obviously unfounded for other reasons. This process usually only takes a few hours, but can last up to 15 days. If the asylum seeker is already registered in the Eurodac asylum database from an application in another EU country, they are taken to the Serbian side of the border and not allowed to re-enter the entire Schengen area. According to DW, if the asylum application is accepted and processed, applicants are placed under surveillance in the transit zone, which they are not allowed to leave. The following asylum procedure takes three to six months in Hungary, including a judicial review. Rejected asylum seekers are returned to Serbia from the transit zone. A report from the HHC shows that only 325 people were able to apply for asylum. In on-going asylum procedures, 326 applicants were rejected and immediately deported, while 267 people were granted refugee or protection status. According to DW, if Germany were to adopt a similar transit zone scheme, it would mean that the border with Austria would have to be closed off and controlled along its entire length of 817km. But this would not comply with the rules of free movement within the Schengen area. What is more, while Hungary is returning the asylum seekers it rejects to Serbia, a non-EU state considered a safe third country, Germany would send people from its transit zones back to the Schengen states of the Czech Republic or Austria. But both countries would not have to accept them.